Australian pokie developer Aristocrat have an extensive range of games in their collection, many of which are exclusively found at land based casinos. Rather than having to wander around the casino floor seeking out their top titles, players can now find 4 of the biggest games in the Wonder 4 Tower pokie, with Buffalo, 5 Dragons, Wicked Winnings 2 and Pompeii all available to play separately or all at once. How can they be played all at once? By packing the screen with 4 or even 6 separate sets of reels, that’s how. It’s a concept that Aristocrat have used before, with games arranged 2 across and 2 high, but by housing it in the Arc cabinet, which has a big portrait-style curved screen, they can now stack all 4 one on top of the other and more in a bonus game. Hence the ‘Tower’ of the title. While each game has its own style, theme, symbols and special features, there’s a unique stacked reels free spins game where players could be spinning up to 6 sets of reels at once, with big multipliers for any wins throughout them. 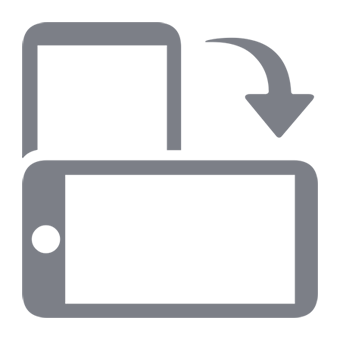 Although there are many differences between the games, there are also a couple of common features which makes the whole process a little simpler. Each has 5 reels, with symbols in 3 rows, and each uses the Reel Power format which does away with conventional paylines and replaces them with a system where winning combinations come from any 3 or more matching symbols stopping on adjacent reels running from the left side. The main bonus feature, over and above the ones found in the individual pokies, is the Super Free Spins game which starts on just 2 sets of reels at the bottom of the screen whenever the standard free spins games in any individual pokie is triggered. 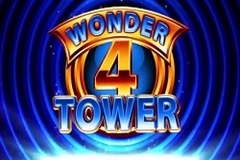 If players wish, they can just enjoy the standard free spins instead, as there’s an extra wager needed to activate the Super Free Spins, but as that’s the whole point of Wonder 4 Tower, few will skip the opportunity to play them. Assuming the Super Free Spins are chosen, as the bonus symbol starts to fill up the reels from the bottom upwards, it will bring the next set above into play, until all 6 are active, while multiplier symbols will appear to the sides of the reels and sees any winning boosted by up to 5x. Buffalo is probably the most popular of all Aristocrat pokies and is set on the plains of North America where mountain lions, bald eagles and wolves share space with the main character. Any 3, 4 or 5 coin scatter symbols will trigger 8, 15 or 20 free spins, during which any wins created by the wild symbol will be multiplied by 2x or 3x. In the 5 Dragons game, Chinese-inspired symbols will line up to create winning combinations, and when the free spins are triggered, players have a choice of the number of spins to play out, along with a multiplier amount that will be paid for any wild substitutions throughout them. Named after the famous Roman town buried under volcanic ash, Pompeii is set on that fateful day and has Mount Vesuvius triggering 20 free spins. Wild substitutions are tripled in value when the wild symbol appears on reel 2 and multiplied 5x when it appears on reel 4, while getting a win from the wild on both reels will see the subsequent prize multiplied by 15x. Cartoon witches populate Wicked Winnings 2, and when the wild witch fills entire reels, she can award players with multiple wins in a single spin as if by magic. After each winning spin, the symbols that made up the combination will stay locked in place while all other positions will respin once more, potentially leading to a bigger prize. The Wonder 4 system has worked well in other Aristocrat games, and with the addition of the Super Free Spins, it’s clear that Wonder 4 Tower is destined to be another hit. It’s a potentially rewarding bonus round and even though it may require an additional wager, players should see a decent return whenever they choose to activate it, although there’s still the option to stick to the regular bonus games if they want to play it safe. Overall, the returns are similar, so it’s really a matter of personal preference, but the Super Free Spins are an impressive site and anyone at this pokie should enjoy the multiple reels and multipliers that can bring in the big wins.